The vessel sink is absolutely beautiful! It is more like a piece of art, just love it! 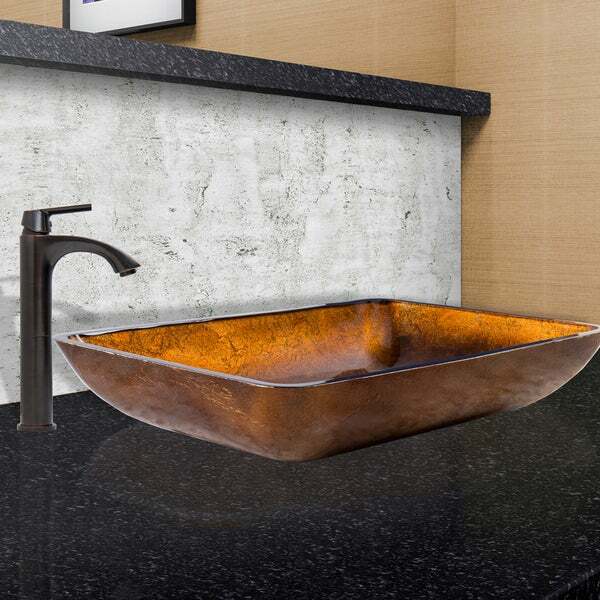 The VIGO Rectangular Russet Glass Vessel Sink and Linus Faucet Set in Antique Rubbed Bronze Finish will make your bathroom the highlight of your entire house. The VG07047 Rectangular Russet glass vessel sink features a tightly tangled blend of captivating brown and amber tones, creating a warm earthy centerpiece. The VG03013ARB Linus vessel faucet features an Antique Rubbed Bronze finish with a modern single lever for temperature control.